Mess Up The Mess’s Apprentice project is made up of young people who have been using theatre as a tool to build skills, confidence and plans for the future. During the project the young people have been mentored by a professional team of theatre artists while devising, staging and touring what has become ‘Kindling’. 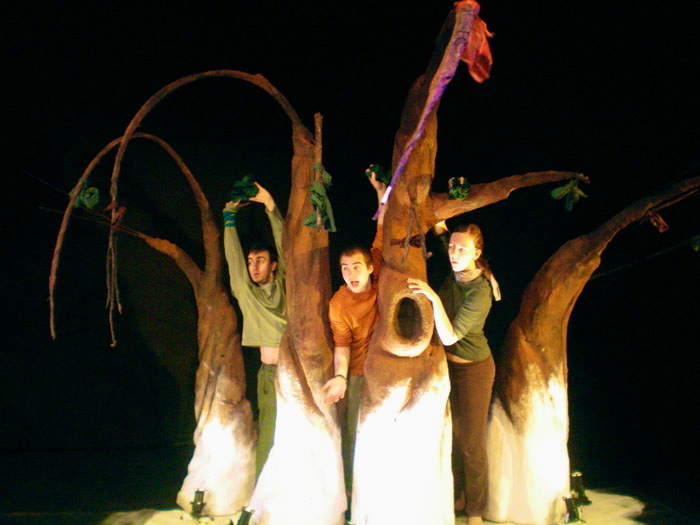 Kindling, Apprentice Theatre project, 2010. The young people of Mess Up The Mess Theatre Company’s Apprentice Theatre Project developed an original production exploring a young person’s search for a way forward. Over a 5 week period 11 young people were apprentice theatre makers working towards accreditation, next steps for their future and, what is for many their debut, performance ‘Kindling’. Kindling: A brand new production by the young people of Mess Up The Mess Apprentice Theatre Company! Funded by WCVA Engagement Gateway and supported by Coleg Sir Gar following the tour of ‘Kindling’ many of the participants are progressing onto college courses, volunteering or next steps in training. This entry was posted in Productions, Reaching Out by admin. Bookmark the permalink.